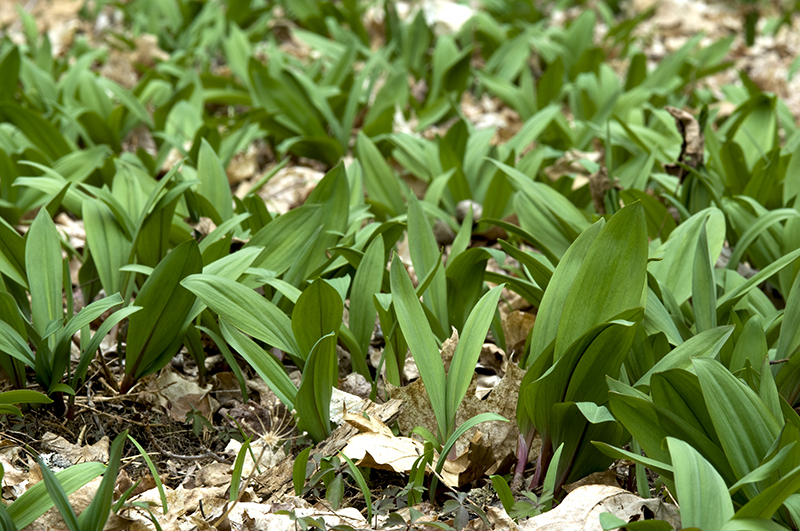 Ramps (Allium tricoccum) season is just beginning to reach its peak, and we are able to pick grocery bags full of the aromatic green leaves in less than half an hour. Over the weekend, we ran across some limp and undersized ramps at Whole Foods, selling for $14.99/lb, which must have included the cost of shipping them from California. With the amount that are readily found here, locally, in Connecticut, it is quite a shame to see things like that in a store that supposedly promotes sustainable and local food. 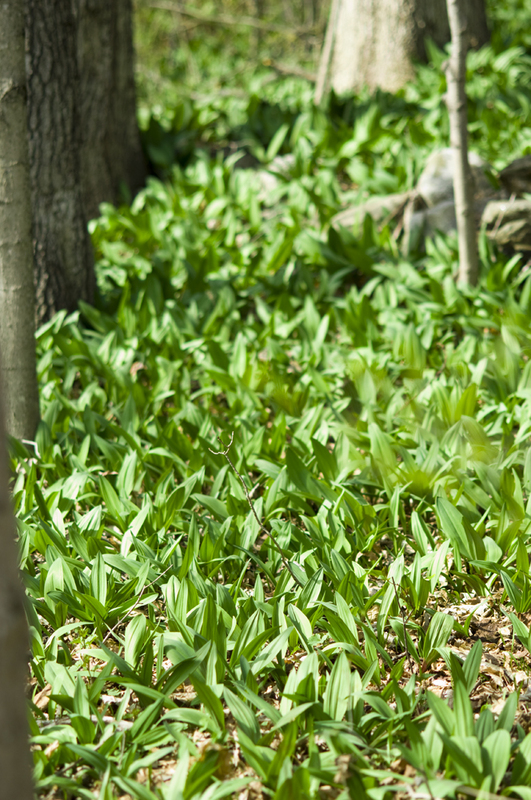 Next comes the cleaning, chopping, and preserving of the leaves, along with many meals featuring ramps. 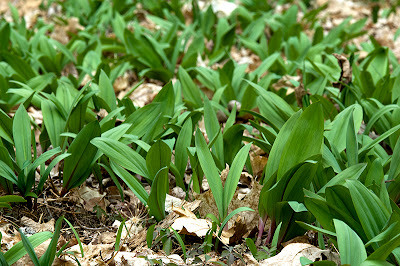 Breakfasts, lunches, dinners, and breads have been enhanced by some form of ramps in our house since we have been foraging. Most of the leaves we pick will be sliced thinly and frozen, tightly packed in plastic containers to use all year. Some leaves will be dehydrated and powdered for adding to doughs and soup bases. Some more raw leaves will be pureed into pesto, and some just pureed with oil and frozen. The few bulbs that were pulled up by accident will be pickled to last in the fridge for a year. Lots of fresh leaves will be eaten in the next three weeks or so, until they can't be picked fresh anymore this season. 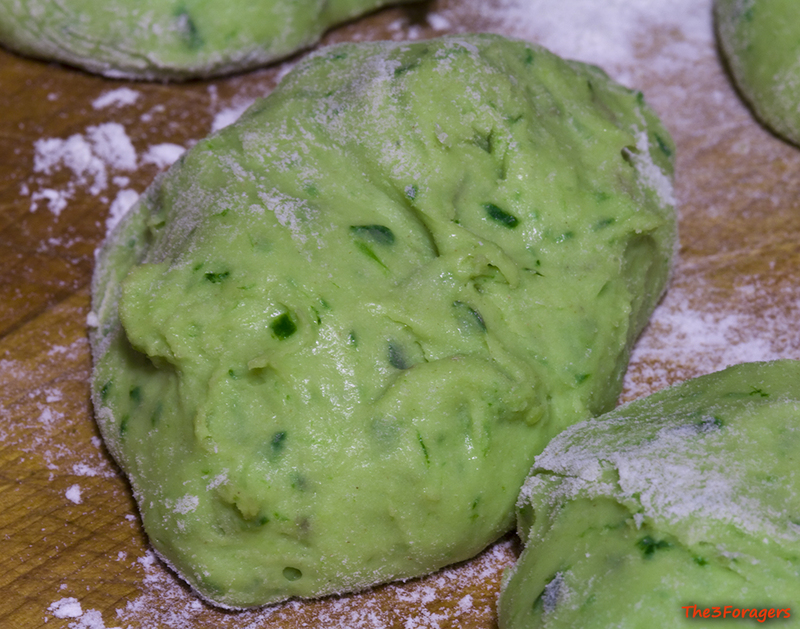 Sticky dough balls, bright green! Langos (pronounced lon-gosh) is a Hungarian version of fried dough. The dough is made with starchy potatoes and fries up super crisp. 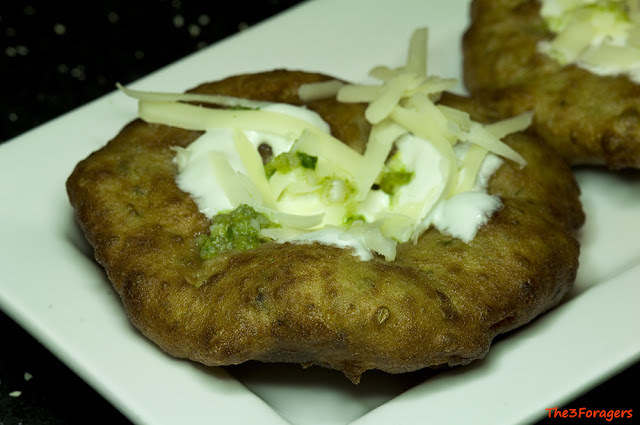 Traditional toppings are sour cream, shredded smoked cheese, and a pungent sauce made from shredded garlic, vinegar, and salt. This is street food at its finest, served piping hot from the fryer on some paper, eaten standing up without utensils. The dough is incredibly sticky to work with, and it can be tempting to add too much flour. Each langos is shaped more by patting out the disk rather than rolling it before dropping it in the hot oil. I added some ramps leaves that were pureed in the food processor with a bit of olive oil for smoothness to the traditional dough, and Robert made the topping with finely chopped leaves and stems instead of garlic for more ramp-y goodness. 4. Heat about 1" of oil in a pot to 350°F. 5. Flatten out a piece of dough into a circle about 8" around and only about 1/4" thick. Gently place the dough in the hot oil, pressing down the center with some tongs as it starts to fry. Fry until browned, about 30 seconds, and flip the dough over, frying the other side another 30 seconds, or until browned. 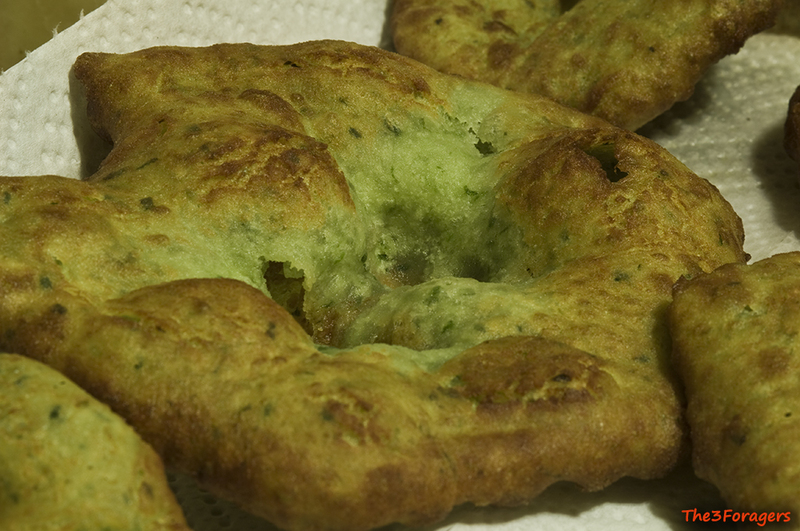 The langos will puff up quite a bit. Every thing is perfect in this recipe starting from ingredients, preparation, Pictures and Final advise . . but my suggestion is to post nutrition information it will drive more people on your web and they can taste your recipes ! !